Engine data when the car is driven on the road. The recorded data is then fed into the client terminal via a USB interface. Remote diagnosis has been turned into an affordable reality! 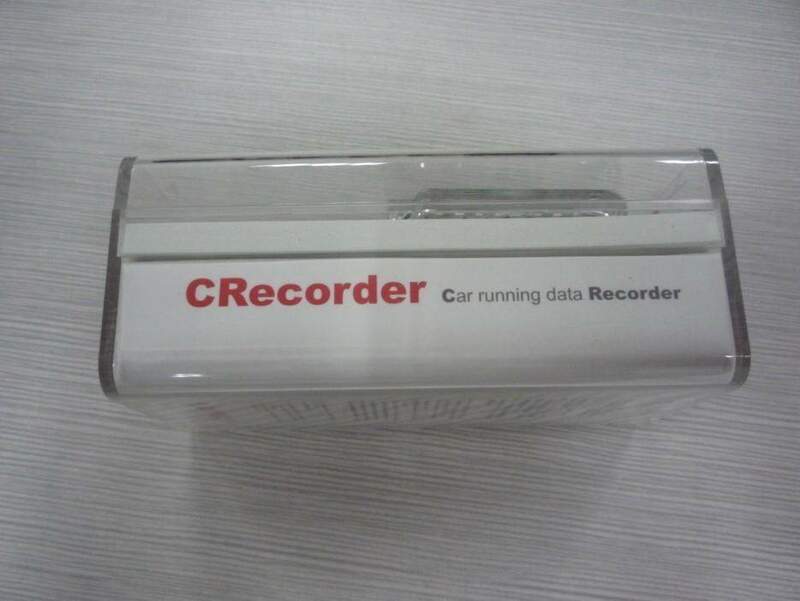 The CRecorder collects real-time engine data such as Ignition Timing, Fuel Trim and Engine Speed, among many other variables. Additionally, it will also read DTCs for cars compatible with OBDII and EOBD. Engine data when the car is driven on the road. The recorded data is then fed into the client terminal via a USB interface. Remote diagnosis has been turned into an affordable reality! 7.Compatible with any vehicle with OBDⅡ diagnostic socket. 8.Vehicle data storage for the continuous 24 hour continuous loop. 9.Data upload to PC through USD interface. 11.This tool does not clear codes.